Charles Dennis, 90, of Chattanooga, passed away on Sunday, January 20, 2019, in a local health care facility. 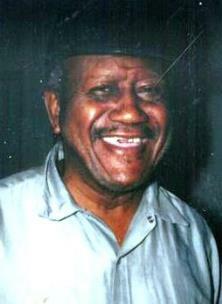 He was preceded in death by his wife, Mary Dennis; parents, McKinley and Rosa Dennis, Sr.; daughter, Vivian Williams; brother, Oota Dennis, James Dennis, McKinley “Snip” Dennis, Jr. Survivors include sons, Michael (Carla) Dennis of Chattanooga, Larry Campbell of Detroit, daughters, Ovetta (William) Talley of Chattanooga, Shirley Grigsby of Detroit, Anna Daniels of Chattanooga; a host of grandchildren; great-grandchildren; brother, Delano Dennis of Chattanooga; other relatives and friends. He will lie in state on Sunday, Jan. 27, after 12:30 p.m. at Taylor Funeral Home. Funeral services will be on Monday, Jan. 28, at 11 a.m. in the chapel with Pastor Lydell Lovelace as the eulogist. Burial will be in Chattanooga National Cemetery.